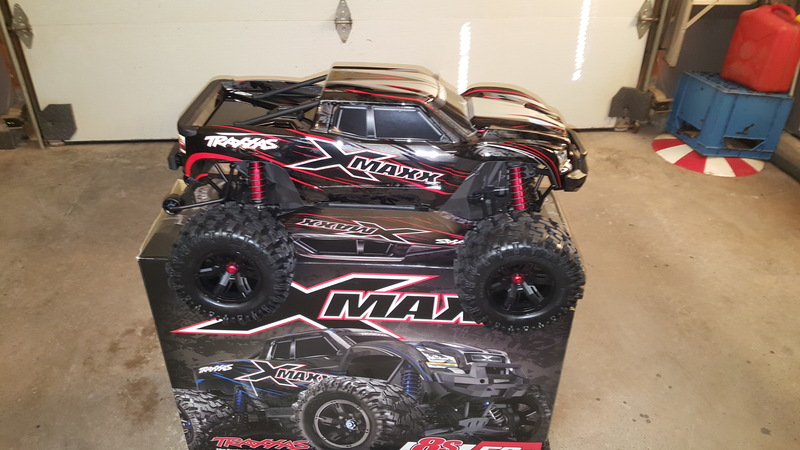 Out of the box, the Traxxas X-Maxx is ready to roar with the exception of batteries. So while I charged my batteries, I decided to do a check of the vehicle. There were no signs of leaking fluid, so I decided to check out the hardware. I started with the wheels and although the tires themselves were in great shape and glued properly to the rims, I wasn’t really surprised to see that every wheel nut needed to be tightened. I would also guess that approx. 50% of the vehicle screws were also loose and in need of some attention. When I pulled the gear cover, I found the gear mesh set too tight. The was no play between the pinion and the gear. The diffs and shocks were in good shape and had plenty of fluid. The shocks were adjusted in a way that the truck will nose dive off of jumps, with the threaded shock bodies, this was an easy fix. All in all, not bad I have seen many other RTR’s in worse shape upon arrival. After my initial inspection it was time to load the batteries so I could have some fun. The Clip Less Body Mounts get rid of those pesky body clips and latches the body to the chassis in a second. The battery hold down is very neat as well, no more clips or straps. The Snap Lock Battery Retainers are integrated into the chassis and make install and removal of batteries a breeze. It was now time to go to the back yard for a short shake down, in which everything went well, this truck is a lot of fun to drive. I was busy for the next couple of days and I finally got a chance to take her to the Halifax RC Park. I really enjoyed the afternoon, this truck is unstoppable over so much different terrain. She loves the snow, mud and water. It jumps and handles like a truck that is much lighter. It isn’t all good news for the Traxxas X-Maxx, the Self Righting feature that will put the truck back on its wheels after a rollover is just about completely useless. I have tried it 10 times now and the Self Righting has worked twice. After checking various online forums I learned that this feature just doesn’t work well with the Traxxas X-Maxx. The truck tries hard to right itself, but it may be just a bit to big and heavy. Overall, the Traxxas Xmaxx is an absolute pleasure to drive and work on, you can tell a lot of effort went in to design and production. 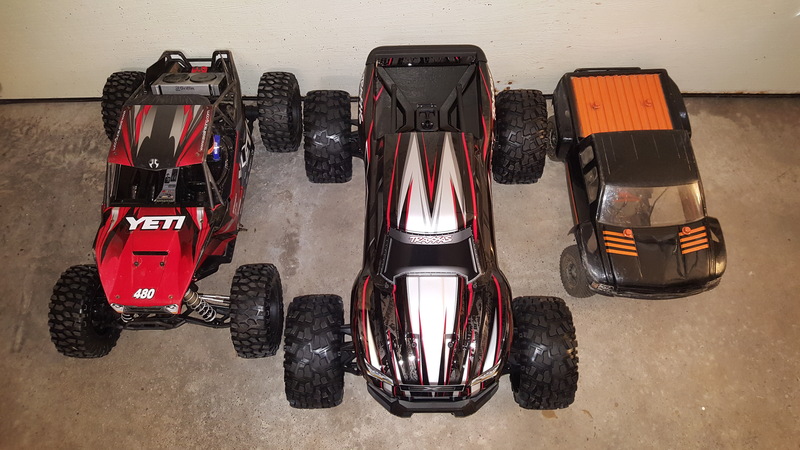 To this point I have no regrets with my purchase and hope to have the X-Maxx for a long time to come. This is a great vehicle for scratching your RC itch during a Nova Scotia winter. I cant wait to see how it handles once things dry out. You can check out my run at the Halifax RC Park below.